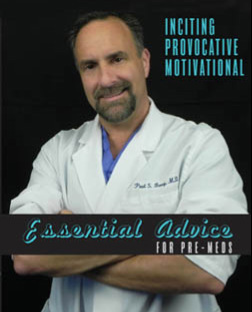 I would like to thank all of you personally for the success of my 2nd edition, essential advice for pre-meds. I look forward to completing my exciting and revised 3rd edition, which will be available in the future. This book was written to provide you with real world useful information. I wrote the kind of book that I wish I had access to during the premed years, and believe me, I bought them all. With the release of the 3rd edition; I am opening the book to all readers who are considering taking on higher education to realize their dreams, and I hope you will be there with me as I share more essential advice for success.